Author Lisa See has always been fascinated with her Chinese-American heritage. She spent over five years tracing her roots, interviewing relatives and searching for who she is and where she came from. The result is an enthralling saga of love, ambition, sorrow, prejudice and loyalty that the reader will not be able to put down. When Caroline and Wendy’s beloved cat, Tibia, disappears, they are devastated. After weeks of searching, calling his name, consulting with psychics and wallpapering their neighborhood with flyers, they have all but given up. When Tibby nonchalantly strolls back into the house one day, they are both overjoyed and…jealous? Where has he been? What was he doing? 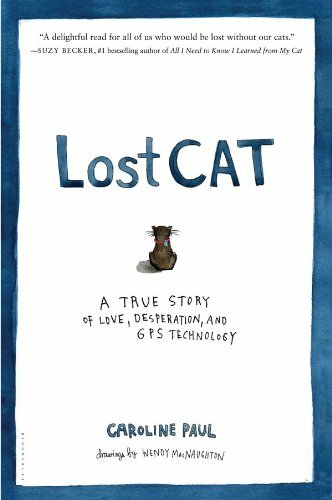 Using GPS technology, the web, a cat psychic and a cat camera, the two women “follow” Tibby around their neighborhood and through his catly adventures. A delightful true story that will leave you laughing and crying, all at the same time. 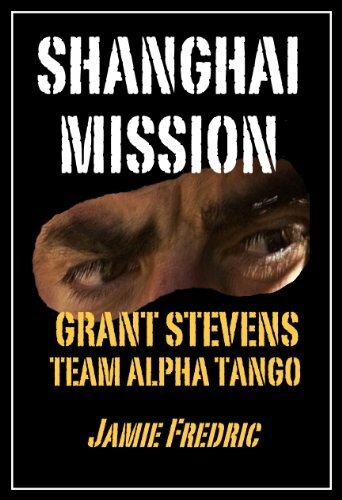 Retired Navy SEAL Grant Stevens is the head of an elite, super secret team known as Team Alpha Tango. When a mission to Communist China uncovers a plot to attack the Vice President of the United States when he visits Shanghai, Stevens knows that they have one chance to stop it…and one shot at getting out of China alive. Book Six of the Navy SEAL–Grant Stevens series will have you on the edge of your seat. 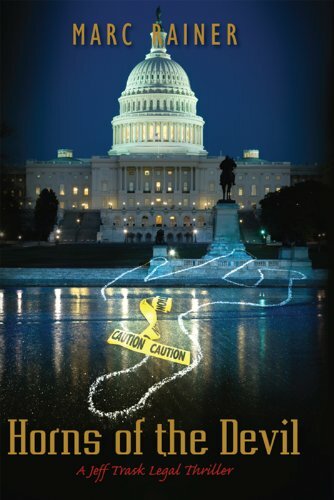 When an ambassador’s son is beheaded and left on the steps of his father’s embassy, just minutes from the White House, Jeff Trask and an FBI task force are called in to solve the murder. When the investigation leads them to MS-13, a deadly Salvadoran gang operating in the nation’s capital, they soon discover that they are right in the middle of a deadly gang war…between two of the most feared and ruthless gangs in the Western Hemisphere. Horns of the Devil is the second in the three part Jeff Trask series. This riveting drama will have you quickly searching for the other two books to finish your collection. Lenna James is sixteen, hangs out with the “church geeks”, goes to Sunday School…in short, she’s a good kid. When her long-time crush invites her to a party, she jumps at the chance, abandoning her values and the friends she’s known for years to hang out with the popular kids, and discovers that they aren’t what she thought they were at all. Now she is facing an unexpected pregnancy and the loss of both her best friend Will and her parents trust. When her pregnancy takes an unexpected turn, Lenna is faced with the most heart-wrenching decision of all. An amazing story that will capture the hearts of both parents and teens. Words are the most powerful weapon that we possess. They have the ability to build up and tear down with equal force, and most of us have no idea of the devastation that they can cause. Once released, they cannot be taken back or unheard, and the damage can be irreparable. 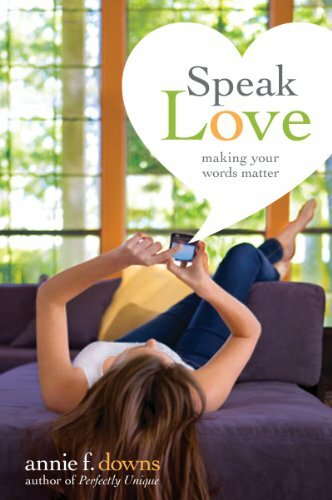 Speak Love is written for young women, and is a call to use their words for love, not for hate. The “mean girl” mentality can be broken, if young women will take a stand. A thoughtful, discussion-inspiring book that both teens and their parents should read and discuss. Ellery Queen is America’s master of deductive reasoning…or he will be. Right now, he is just the son of a New York cop who thinks maybe he should put his power of deductive reasoning to work solving crimes. 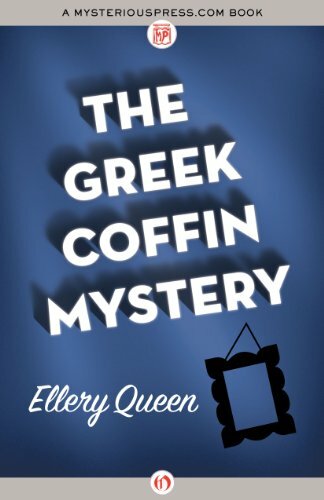 First published in 1932, The Greek Coffin Mystery is the story of blind Georg Khalkis, who has spent the last several years housebound. After a heart attack knocks him dead, his will mysteriously vanishes and his baffled family turns to young Ellery to solve the mystery. The plot twists and turns will leave you guessing to the end, and searching for more of the EQ mysteries straightaway! This psychological thriller comes to us from Europe, where readers can’t get enough of it. A young woman is kidnapped and held suspended from the ceiling of an abandoned warehouse filled with rats. As she is tortured both psychologically and physically, Police Commandant Camille Verhoeven is running out of time. A shocking discovery about the young woman, along with Verhoeven’s knowledge of the intricacies of kidnapping make this a riveting drama. The end will leave you breathless. Warning: This novel is extremely graphic and may be disturbing to some readers. 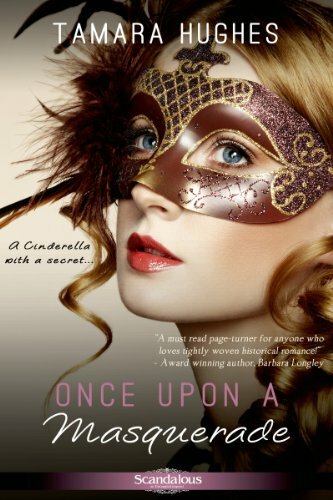 A modern Cinderella story with a twist. Rebecca is a housemaid impersonating an heiress. Christopher is a self-made shipping magnate. When the two are brought together at a masquerade ball, they soon find themselves at the center of forbidden romance and murder. Can Christopher trust the woman that he’s come to love? And is Rebecca really who she says she is? A delicious romance to curl up with on a Saturday afternoon. The annual pumpkin festival, a girls soccer championship, a dead best friend and a handsome new sheriff’s deputy have high school teacher TJ Jensen in way over her head. Why is deputy Dylan so eager to dismiss her friend’s death as an accident? And who are the four strangers who are visiting the resort under mysterious circumstances? A light hearted, fun read from new author Kathi Daley that will have readers falling in love with TJ and her world. We hope this list has given you something new for the upcoming weekend! Which one is your favorite, and why? Or maybe you are like me…you want to read them all!